About ACCELERATE CORPORATE Accelerate Corporate captures the efforts of market leaders in advancing the use of natural refrigerants across different applications, industry sectors and continents. Each issue of the magazine is prepared in partnership with an influential corporation, organisation or group of entities striving to accelerate the uptake of climate-friendly, natural refrigerant-based technologies. Accelerate Corporate seeks to showcase end usersâ&#x20AC;&#x2122; experiences working with natural refrigerants and to highlight the underlying market, policy and technology trends driving their uptake. s technology develops and the global HFC phase-down picks up pace, natural refrigerants are cementing their place not just as market-ready alternatives today but also as the future-proof HVAC&R solutions of tomorrow. For hydrocarbons to make inroads into new areas of application, however, charge limits will need to be revised. This year, standards bodies in the United States and worldwide will consider increasing these limits amid mounting pressure from industry (p. 30). 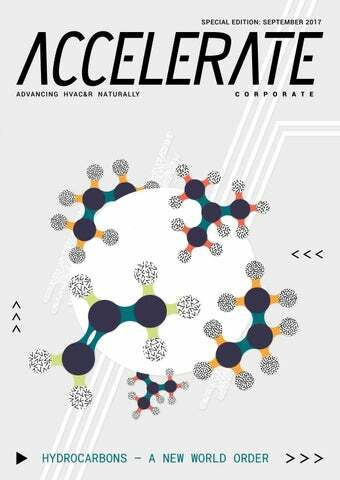 This special edition of Accelerate looks at how hydrocarbons, in particular, are expanding into a wider range of business sectors and applications. Thanks to their impressive efficiency performance – particularly in warmer climates – they are fast becoming the natural refrigerant solution of choice in small-scale applications such as bottle coolers and vending machines. Embraco, a multinational company focused on refrigeration solutions, is banking on disruptive technologies to stay ahead of the pack. We sat down with CEO Luis Felipe Dau to find out how the company sees the position of hydrocarbons in the global HVAC&R market unfolding in the future (p. 8). Hydrocarbons – already dominant in the domestic refrigeration market in many parts of the world – are solidifying their place in the commercial and light commercial sectors. Globally, they are making their presence felt. The only household refrigeration markets that remain largely untouched by hydrocarbons, for example, are North America and Africa. We take an in-depth look at these and other market trends in our special feature (p. 26). Our series of case studies from around the world provides a snapshot of how innovative solutions are helping end users in different sectors of the economy to make the switch to hydrocarbons. From professional kitchens to medical laboratories, a growing number of markets are taking advantage of the efficiency and versatility of hydrocarbons. In domestic and light commercial refrigeration in particular, their use is projected to grow significantly. Criotec and Thermo Fisher Scientific are among the companies banking on hydrocarbons to improve cooling system performance (p. 16). ebbs and flows of national, regional and international legislation relating to ozone and climate issues. HCs – along with other natural refrigerants – potentially offer a panacea for climate-damaging refrigerants, but only if the industry safety standards are remedied to overcome the frustrating and often nonsensical restrictions buried within. With the introduction of the new EU F-Gas Regulation in 2014, the onerous phase-down schedule has created a significant shift in the way decision-makers in Europe approach this trade-off between environment and efficiency versus the headache of handling flammability. Coupled with the advent of the new Kigali Amendment, again there seems to be a re-energised surge of enthusiasm in HCs for certain applications. This is perhaps reflected by the number of articles on HCs published in scientific journals and conferences, the rate of which is about double that of five years ago (compared to an increase of about 1.25 times for scientific articles in general). Along with other natural refrigerants such as R717 and R744, HCs are largely seen as ‘the end game’ by many stakeholders (within the context of available technologies). Currently there are a limited number of manufacturers producing systems with HCs: a fair number for commercial refrigeration products, some making chillers and heat pumps, yet very few indeed involved with stationary air-conditioning units – and none whatsoever when it comes to mobile/ car air conditioning (MAC). Indeed, this is particularly disappointing from an environmental perspective, since small air conditioning (single splits and MACs) is responsible for more than half of the global refrigerant-related global warming impact, despite posing the lowest flammability risk amongst all these sub-sectors. established stakeholders forcefully dominating the process and persistently opposing improved rules for HCs. In absence of any new ‘miracle’ technology, there is a broad consensus within the industry that HCs – along with R744 and R717 – should become the technology of choice. But with the current rate of uptake seemingly dependent upon the environmentally driven demands of disparate end users, it will be necessary for industry stakeholders to put aside their emotional prejudices, and the enthusiasm of engineers to go beyond their comfort zone, to address ways and means of applying HCs to adequately minimise risk of flammability. Dr. Daniel Colbourne is a member of various European, IEC and ISO safety standard working groups and the UNEP RAC&HP Technical Options Committee under the Montreal Protocol. Constructive disruption Embraco, a multinational focused on refrigeration solutions, is banking on disruptive technologies to stay ahead of the pack. Accelerate sat down with CEO Luis Felipe Dau to find out more. new features will be developed to increasingly connect the user to equipment, bringing advantages in food preservation and equipment maintenance. Accelerate: Does Embraco see an opportunity in the HFC phase-down plans being put in place locally and globally? Does this sustainability drive pose challenges for your business too? Dau: For more than 20 years, Embraco has used natural refrigerants in its compressor portfolio for commercial and household use to reduce the negative effects on the ozone layer, greenhouse effects and to improve the equipment’s energy efficiency. We believe that using natural refrigerants – especially hydrocarbons – is the ideal solution for the future of refrigeration by sustainably aligning economic and environmental needs. The use of natural refrigerants with low GWP is on the agenda worldwide, both for use in household refrigeration as well as for commercial. The United States and many other countries are making strides in the refrigeration industry, specifically in commercial food service and retail, to limit energy consumption and harmful environmental impacts. We believe that HFCs will become unfeasible for large-scale production in the medium term. Regardless of the current legislation in the various countries where Embraco operates and the imminent ban on the use of HFCs, the company is prepared to meet future legislation and best practices demanded by the global market. Sustainability drives our company strategy. We have the constant challenge of being at the forefront of developing new technologies and solutions that meet customer demand, promoting energy efficiency, reducing consumption of natural resources and lessening impact on the environment. the most energy efficient, dependable and innovative compressors and cooling solutions. We believe that natural refrigerants will be the reality after HFCs. Accelerate: Do you expect uptake of hydrocarbon solutions to proceed more quickly in certain regions than others? Accelerate: How would you currently describe the commercial refrigeration market in particular, in terms of opportunities and challenges? Dau: This market is changing faster than ever, due to several regulations all over the world, driving increased efficiency as well as GWP reduction. Production, products and systems using fewer materials are also increasingly driving segments of the refrigeration industry. Our main driver is to keep developing solutions to support our customers in the short term and researching others for the long term. The main challenges are related to the next wave of regulations, which will push our customers to increase energy efficiency even more. A combination of drivers – sustainability, health and connectivity – has brought new opportunities to innovate. Accelerate: Do you think Embraco is well placed to take advantage of the shift towards hydrocarbons in household and commercial refrigeration? Dau: Yes. All countries have to act, in view of the Kigali Amendment to phase down high-GWP refrigerants. Some regions with more evolved regulations about refrigerants and energy savings, such as Europe and the USA, tend to migrate more quickly to hydrocarbons. Other regions where similar regulations are not yet in place will move more slowly, but because hydrocarbons are more efficient refrigerants, we believe they will also migrate in that direction. Accelerate: How important is R&D to your strategy? Dau: We invest annually 3% to 4% of net revenue in R&D. About 600 professionals are dedicated exclusively to this department – with approximately 120 university partners. Additionally, Embraco has 47 research laboratories on four continents. The world is changing fast. The refrigeration market has quickly evolved. Innovation is part of our company’s DNA and, more than just keeping up with this evolution with agility, we seek to be true protagonists of what’s to come. We invest annually in our technology DNA to keep our position as a technology leader. Dau: Our global team is highly experienced in natural refrigerants. We can tailor our portfolio to our customers’ specific needs. We are pioneers in using natural refrigerants that, compared to other fluids, make a negligible contribution to global warming and are harmless to the ozone layer. Natural refrigerants also contribute significantly to reducing energy consumption. By adopting propane (R290), in addition to the environmental benefits, we helped our customers manage future regulatory risk. energy efficiency and lower noise. We’re also betting on compressors with R290, due to the trends on energy efficiency and new refrigerant regulations. Accelerate: Do you think sustainable refrigeration is an opportunity or challenge for your company? Dau: It’s an opportunity certainly. Our focus on transforming technology into innovation challenges us to go further and keeps us as a global benchmark in the refrigeration market. In 2015 we began a scientific study to help us identify critical points to further reduce our ecological footprint. transformation within the company aiming to become even simpler, more innovative and customer-centric. The challenge of doing things differently has brought new opportunities in all our units, whether in revenue generation, cost optimisation or working capital improvements. Focusing on disruptive technology projects, Embraco seeks opportunities aimed at expanding the portfolio. New initiatives are part of the company’s strategies and this is why the company partners with institutions and start-ups. Accelerate: What can you tell us about your biography? Looking at global challenges such as climate change, waste generation and natural resource exhaustion, we took inspiration from nature to create Nat.Genius, a business unit that uses decades of reverse logistics expertise of our compressors. With this operation, we recycle several discarded electro-electronic products at the end of their useful life and we make sure that no refrigerant leaks into the atmosphere. Accelerate: Do you see compressors using HFO blends as representing a serious alternative to hydrocarbon compressors? Dau: We consider HFO blends to have intrinsically lower efficiency, and to be less competitive and less sustainable than hydrocarbons. Accelerate: How would you currently describe the natural refrigerants market in Embraco’s native Brazil, and how to you see it developing in future? What about the natural refrigerants market in Latin America more generally? Dau: In Brazil, there is no regulation that prohibits the use of HFCs or even legislation for minimum energy efficiency in the commercial segment. In Latin America, few countries have a direction on that, but the cost of electricity is high, so the market is already looking for more efficient options, such as R290 or Fullmotion inverter compressors. Dau: I graduated as a B.S. in Electronic Engineering from the Federal University of Rio de Janeiro (UFRJ Brazil) and pursued an MBA in General Management at Tuck School of Business at Dartmouth. After working as an industrial engineer for a Brazilian branch of AB-InBev and as a consultant for McKinsey & Company, I joined Embraco in 2006. My biggest motivation to join the industry was its challenges, the opportunity of continuous learning in a global scenario, and to match technology to improve people’s lives. I have worked as director for our Program Management Office (PMO), as the director of Embraco’s Brazil Plant, general manager for our Embraco SnowFlake JV in China, Vice-President for Asia and Global Vice-President for Business & Marketing. In March 2016, I was fortunate enough to be appointed as Embraco CEO. razil’s average annual temperatures of 22-26°C (72-79°F) in the Amazon region and 38°C (100°F) in the northeast can pose a challenge to potential users of natural refrigerant-based HVAC&R equipment. In the Mafra store, Embraco and Eletrofrio were only too happy to lend a helping hand to retrofit the previous R22-based system – centred on a remote rack system – with freestanding hydrocarbon-based cabinets. Mig Supermarkets, a Brazilian company founded in 1976 by Arlindo Miguel in the city of Mafra in the southern state of Santa Catarina, accepted the challenge. The new cabinets use Embraco’s self-contained R290 Plug n’ Cool solution. The complete cooling system targets reach-in cabinets for supermarkets, convenience stores and professional kitchens. In a long-standing store in Mafra, the retailer decided to retrofit its old refrigerated cabinets with environmentally friendly technology. Eletrofrio started using the Plug n' Cool solution in its 'Green Line' brand of cabinets and this year it installed the system in the Mafra store during the same period. The work involved changing the cabinets to Eletrofrio’s Green Line. Miguel says the advantages of the system were evident immediately. “Since we changed some other things on the store, it’s hard to measure exactly how much the cabinets impacted on the electricity bill, but the expectation is that the ratio of energy consumption per exhibition area inside the store will significantly decrease,” he says. Hydrocarbons bridging the gap From professional kitchens in Europe to medical laboratories in the United States and Brazil, a growing number of markets are taking advantage of the efficiency and versatility of hydrocarbons. s an alternative to HFCs, hydrocarbons are considered to be one of the most efficient options in terms of energy consumption. Their impressive thermodynamic properties lend themselves especially well to applications in the domestic and light commercial refrigeration markets. In fact, hydrocarbons are already being used extensively in domestic refrigeration. To date, an estimated 1.5 billion domestic refrigerators worldwide use hydrocarbons. By 2020, 75% of all new domestic refrigerators are expected to use R600a or R290. In light commercial refrigeration, hydrocarbon use is also projected to grow significantly over the next few years. With respect to larger plug-in units used in supermarkets, Austria-based manufacturer AHT Cooling Systems GmbH estimates that over 1.5 million of its own such units are currently in operation worldwide. The adoption of hydrocarbons is expected to accelerate even more quickly as governments around the world impose stricter energy-efficiency standards on manufacturers. Many manufacturers have responded by doubling down on their investments in hydrocarbon-based systems. On 27 March 2017, the U.S. Department of Energy began enforcing new energy-efficiency standards for commercial refrigeration equipment, and manufacturers are turning to hydrocarbons to meet these new standards. Earlier this year, U.S.-based commercial refrigeration supplier True Manufacturing announced a commitment to moving its entire production portfolio to 100% hydrocarbons by 2019. “At the moment we are two-thirds through the transition from R134a and R404A to R290,” said Kurt Bahnmaier, European marketing coordinator for True Manufacturing, at the EuroShop 2017 tradeshow in Düsseldorf in March. Multinationals moving the market Global beverage giant the Coca-Cola Company is aiming to be 100% HFC-free for all new cold drinks equipment by the end of 2020. It plans to achieve this target by primarily adopting natural refrigerants CO 2 and hydrocarbons – with its Japanese branch leading by example. Globally the Coca-Cola Company is already adopting natural refrigerants propane and CO 2 on a grand scale. By the end of 2015, the Coca-Cola Company had deployed more than 1.8 million HFC-free units worldwide. By HFC-free, the Coca-Cola Company means 100% natural refrigerants. Research by shecco, publisher of Accelerate, reveals that there are now 1.35 million beverage vending machines in Japan that use either hydrocarbons or CO 2 . This includes more than 550,000 R600a vending machines currently in the market. In Japan, Coca-Cola’s objective is slightly different: the beverage giant has adopted an official target of moving to 100% natural refrigerants – meaning hydrocarbons or CO 2 – in all vending equipment on the Japanese market by 2020. Also in Japan, in February 2015, convenience store chain Save On became the first company to open a store equipped with exclusively R290 plug-in refrigeration showcases. Hydrocarbons, then, are already being put to use in a wide range of economic sectors on a global scale. The next two pages of case studies take a closer look at how these efficiency improvements are continuing to drive adoption of hydrocarbons in a variety of markets – and indeed increasing their competitiveness vis-à-vis CO2 and other refrigerants – in a wide range of applications. switch to natural refrigerants alone, its line of TSX ultra-low temperature systems gained 17% efficiency. – the time it takes for the product being stored to reach the same temperature as the interior of the chamber. The power used in the cascade system’s first and second stage compressors was reduced and the entire system’s coefficient of performance increased from 2.39 to 2.80. Compared to Fanem’s old prototype HFC R134a system, which took 10 hours to cool the contents from 32°C to 4°C (90°F to 39°F), the new system only took three hours. Thermo Fisher Scientific, a U.S. manufacturer specialising in the development of ultra lowtemperature refrigeration systems, was looking for ways to improve the efficiency of its products. Compared to their old single speed systems which ran on HFCs R404A and R508B, the TSX systems now deliver up to 50% energy savings, especially with the use of Embraco’s Fullmotion Inverter technology, which helps increase efficiency even further. Most significantly the system was also able to achieve a 50% reduction in energy consumption. The challenge, however, was how to improve the energy efficiency of the systems without compromising on their performance. The use of R290 is also helping a Brazil-based medical and laboratory equipment manufacturer reach its energy efficiency goals. Thermo Fisher Scientific’s line of TSX ultra-low temperature cascade refrigeration systems typically operate from -90°C to -70°C (-130°F to -94°F). Because these products are used mainly in the chemical and medical industry, performance and reliability is an extremely important consideration. Fanem, a Brazilian manufacturer of haemato-immuno conservation chambers used to preserve and store blood and vaccines, requires its cooling systems to be reliable and energy efficient, and variable at low temperatures. They must also have the capacity to deal with voltage fluctuations. Brazilian, U.S. medical lab equipment makers banking on hydrocarbons For manufacturers in the medical and laboratory equipment field, hydrocarbons are proving to be efficient refrigerants that give their products a competitive advantage. Hydrocarbons are proving themselves to be extremely efficient refrigerants, with great potential to impact the medical laboratory equipment industry. For Mexico-based commercial refrigeration manufacturer Criotec, social responsibility tops its list of core values as an organisation. The European Union and its member states continue to move energy-efficiency standards forward, putting increased pressure on manufacturers. The company sought to improve the TEWI figures of its refrigerators and opted for R290 as a means of doing that. Since 1 July 2016, under the EU Eco-Design Directive, all newly manufactured commercial refrigeration equipment must meet new minimum energy-efficiency requirements. In cooperation with Embraco, a test was conducted to see how the use of R290 would impact not only the energy efficiency of the refrigerators but the overall TEWI figures as well. The company took its CTCC-25 model horizontal freezer (internal volume 643 litres) and swapped out the R134a compressor, replacing it with an R290-based compressor. The compressor was the only part of the system that changed. The results were significant: the freezer using the R290 compressor recorded a 24% decrease in energy consumption. The figures showed that the R134a compressor consumed about 3.337 kWh per day, whereas the R290 compressor consumed 2.663 kWh per day. The system using the R134a compressor had a measured TEWI of 5,316, whereas the system using the R290 compressor had a TEWI of 3,951 – a 26% reduction mainly due to R290’s low global warming potential (GWP) value of just three (versus R134a at 1,430 GWP). For Criotec, reducing the energy consumption of its products while also reducing environmental impact was a win-win, helping the company to truly live up to its core values. In addition, a new mandatory energy-labelling scheme was created to help end users and consumers to determine more easily the energyefficiency ratings of different products. A key target of the new regulation was refrigeration equipment used in professional kitchens. Embraco conducted energy consumption tests with stainless steel single-door coolers (internal volume 500-700 litres) – a popular type of refrigerator in busy kitchens and restaurants around the world. Over a period of 24 hours, Embraco measured the energy consumption of a refrigerator using an HFC-based compressor and compared it with two refrigerators using two models of its own R290-based compressors. The results showed that, compared to the benchmark HFC-based standard commercial refrigerator, the first R290 refrigerator achieved an energy use reduction of 37.3%. The second R290 refrigerator achieved an energy use reduction of 41.12%. The tests show that hydrocarbons are perfectly suited to helping equipment manufacturers to meet increasingly stringent energy-efficiency standards and end users to save money on their energy bills. refrigerants, we made a commitment in the year 2000. And by 2014 we already had over 12,000 hydrocarbon cabinets in place. We were very consistent and persistent in the way we moved ahead,” said Jakob. that service engineers are skilled and properly trained for working with hydrocarbons. Training of service personnel is key. Do it right first time and it will serve you for years to come,” Jakob said. Fast forward to 2016, and Unilever had 2.2 million hydrocarbon cabinets. It prefers to use hydrocarbon refrigerants R290 and R600a for low-temperature applications. Unilever found hydrocarbon cabinets to be equally as reliable as their HFC-based counterparts. “We have more than 10 years’ experience of working with hydrocarbon cabinets, and we have never had any safety issue,” Jakob said. Colruyt charts course for 100% hydrocarbons in stores Natural refrigerants are helping the Colruyt Group to save money and deliver its environmental targets, with the leading Belgian retailer moving to hydrocarbons for 100% of its in-store cooling needs. Accelerate reports. heat and power) plants powers Colruyt Group stores and distribution centres. accompanied by bans on servicing and maintaining existing equipment. is always added redundantly, ready to step in should one chiller fail. With the Belgian retailer having already switched to electricity from 100% renewable sources, refrigeration now makes a proportionally larger contribution to its carbon footprint. Choosing the right refrigerant, therefore, is crucial for meeting its sustainability targets. “We were already adopting natural refrigerants before the EU F-Gas Regulation came into force. The F-Gas Regulation was not the primary driver, but it does give us an extra stimulus,” Collin Bootsveld, a project engineer at the Colruyt Group, told Accelerate. Colruyt supermarkets also feature special cold rooms in which customers choose fruit, vegetables and other products from shelves. There are no refrigerated cabinets. The Colruyt Group’s ultimate goal is to become HFC-free. In 2012, it launched a feasibility study. This led to the adoption in December 2014 of the official target of using 100% natural refrigerants for all its cooling needs. Since the end of 2016, Colruyt is no longer building HFC-based cooling systems in its stores. Air handling units above the cold room remove the air inside, cool it down with glycol, and put it back in through perforated walls, creating a temperature of 3-4°C (37.4-39.2°F) on the shelves and 7°C (39.2°F) in the room. Constantly circulating cold air negates the heat given off by from customers and the surrounding shop. At the entrance of the cold room, an air curtain stops the cold air from escaping by blowing air at room temperature from a vent above the cold room’s open doorway. Rather than mixing together, the warm and cold air roll against and away from one another – creating an ‘air door’ that pushes the cold air back into the cold room. This principle is used in all new OKay and Colruyt stores. Bootsveld’s team calculates that this is not just cheaper but also five times more efficient than using display cabinets. “Cabinets lose a lot of cold when customers open the doors,” Bootsveld says. propane is also so low that it is very difficult for anything bad to happen,” Bootsveld argues. Leakages from HFC refrigerants currently represent 12% of the Colruyt Group’s greenhouse gas emissions in Belgium. “This 12% will be completely eliminated by the propane cooling project within 10 years,” Bootsveld says. In the event of a leak, the new systems shut themselves down automatically. Risk is kept to minimum by limiting the number of connections. ‘No regrets’ over hydrocarbons switch All new Colruyt Group cooling installations have used natural refrigerants from 2017 onwards. Currently there are around 50 new refrigeration systems in the pipeline, a mix of new shops and refits of existing stores. So when will the Group achieve the target of using hydrocarbons for 100% of its in-store cooling needs? “At the current pace we will be ready in 2027,” says Bootsveld. Colruyt’s chest freezers have been using the natural refrigerant R600a (isobutane) for over 10 years. They are stand-alone, giving store managers flexibility regarding layout. Pictures on the lid depict what’s inside, so customers do not need to open them to discover their contents. “They are plug ‘n’ play. If one freezer breaks down, just swap it with another. They also use five times less energy than display cabinets,” says Julien Meert, a project engineer in Bootsveld’s team. The Colruyt Group has “no regrets” about the switch to hydrocarbons. Indeed, Bootsveld and his team are now innovating with other natural refrigerants too. The Group’s distribution centres, for example, are cooled with ammonia. It opened its first ammonia plant in 1999. In the wake of the Kigali Amendment to the Montreal Protocol – which put in place a global HFC phase-down trajectory – Bootsveld is even more convinced that adopting natural refrigerants is the right way to go. “There is always a learning curve, and we’ve started that curve early. We’ve moved to a new technology, and we’ve done it in a reliable manner,” he says. Bootsveld argues that early adoption of natural refrigerants is already putting Colruyt at a competitive advantage compared to retailers that are yet to begin their transition away from HFCs. High outside ambient temperatures are of little concern. “Propane installations can easily handle it. Our system was designed to operate in temperatures of up to 35°C (95°F), but we’ve recorded 42°C (107.6°F) in Braine l’Alleud and it’s still running fine,” Bootsveld says. By 2018, Colruyt hopes to be building shops without any fossil-fuel connections at all. “In September, our CEO decided that every time we remodel a shop, we’ll insulate it to the same level as our new shops. Within the next 10-12 years, all our shops will be well insulated,” Bootsveld says. Overcoming safety concerns Safety is often cited as an obstacle to wider use of hydrocarbon systems. But the Colruyt Group is working hard to overcome flammability concerns. Such insulation reduces heat demand to the extent that the store’s heating needs can be entirely served by waste heat from the cooling system. “The shops will be 100% electric. Fossil-fuel free!” Bootsveld says. he Heineken Group, the secondlargest brewer in the world by revenue, is setting ambitious climate goals to reduce its emissions of greenhouse gases. The global giant is targeting 40% lower emissions from production, 50% lower emissions from its fridges and 20% lower emissions from distribution in Europe and the Americas compared to 2008 levels – all by 2020. The company – which recorded profits of $1.7 billion in 2014 – has already achieved much so far. It is well on course to meet its 2020 target of reducing its CO2 emissions from production. In 2016, the Dutch brewer achieved a 37% cut in emissions compared to 2008. Its emissions are also falling in absolute as well as relative terms. Despite production volumes being 52% higher in 2015 than in 2008, emissions fell by 5%. This success can partly be attributed to its commitment to environmentally friendly fridges. Heineken Group CEO Jean-François Van Boxmeer recognises hydrofluorocarbons (HFCs) as one of the world’s fastestgrowing climate pollutants and a major source of greenhouse gas emissions today. The group is seeking to cut down on its use of HFCs by switching to natural refrigerants instead. “By 2020, we will have cut the CO 2 emissions from our fridges in half compared to 2010,” says Van Boxmeer. manufacturers seeking to pursue more sustainable business practices – to limit their use of HFCs as well. The Belgian CEO of the Dutch brewing giant argues that the role of refrigerants in the fight against climate change is often misunderstood. HFCs are widely expected to add up to 0.5°C (32.9°F) to the average global temperature by the end of the century if their use is not curbed. “At Heineken, we try hard to make a contribution to the essential goal of limiting global warming by making thoughtful choices about resource usage,” Van Boxmeer told a CGF summit in Berlin, Germany in June. In October 2016, the CGF Board passed a resolution committing its members to deploying natural refrigerants wherever possible, effective immediately. Van Boxmeer recommends other companies do the same, replacing HFCs with hydrocarbon refrigerants to mitigate harmful emissions and increase the energy efficiency of cooling equipment. In addition to installing hydrocarbonbased technology, the beverage giant recommends taking the following steps to further increase the efficiency of fridges: Replacing standard lighting with LED illumination; Introducing an energy management system, and; Installing energy-efficient fans. Innovating at home Heineken plans to install ‘green’ fridges, both when replacing old fridges with new ones and when installing a fridge in a new location. In 2014 alone, the brewer purchased 152,000 fridges, 99.8% of which had one or more of the above ‘green’ characteristics. Two-thirds of the fridges were compliant with all four. To reach this point, Heineken worked with its partners to develop the iCool fridge, an innovative fridge that is 70% more energy efficient than related beverage coolers from 2010. The innovation does not stop at fridges. Heineken’s ‘David XL Green’ solution, which it proclaims is the world’s greenest draught system, has won sustainability awards around the world. David XL Green was named winner in the ‘End User of the Year – Non-Supermarket’ category of RAC Magazine’s industry awards in 2014. In addition to improving the overall serve quality of Heineken beer, results show that the David XL Green reduces energy consumption by 50% versus conventional draught systems. Heineken believes the technology could easily be applied to a vast number of retail outlets across the world. rapidly. “Greenpeace now estimates that currently there are between 900 million and one billion domestic hydrocarbon (‘Greenfreeze’) refrigerators in the world,” Maté says. The Replenishment Task Force of the Technology and Economic Assessment Panel (TEAP) – an advisory body to the Montreal Protocol Parties – argues that, “by 2020 around 75% of new refrigerators will likely contain [hydrocarbon, HC] R600a (a small proportion using HC-HFO blends), with the remainder containing HFC134a or HFO-1234yf”. The biggest global fridge manufacturers are European, Chinese, Japanese and Indian. 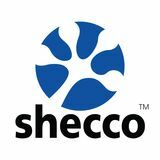 The only household refrigeration markets that remain largely untouched in terms of hydrocarbons are North America and some parts of Africa, according to research conducted by shecco, publisher of Accelerate. In a report called ‘Bringing the U.S. Fridge Market into the 21st Century’, the Environmental Investigation Agency (EIA) – an environmental group – pointed out that multinational companies like AB Electrolux, Samsung Electronics and Haier are forced by restrictive standards to sell domestic refrigerators with R134a in the United States, despite already successfully producing and selling models using hydrocarbons in other markets. Before 2011, hydrocarbons were not really allowed in fridges in the USA. In 2011, hydrocarbons R600a and R441A – an HC blend – were approved for use in domestic refrigeration in the United States, when the Environmental Protection Agency (EPA) listed these refrigerants as suitable substitutes for HCFCs under the Significant New Alternatives Policy (SNAP) programme. In 2015 propane was also added as a suitable alternative. Nevertheless, faced with a charge limit of 57g for A3 (flammable) refrigerants in domestic refrigeration (compared to 150g in Europe), manufacturers operating in the United States have faced significant challenges in introducing such products. “With nearly one billion hydrocarbon fridges in the world operating perfectly safely, why are North American consumers denied the right to purchase climate-friendly refrigerators?” Maté wonders. Change is coming There are signs that things are changing. The Underwriters Laboratories (UL), a U.S. safety body, has adopted a new safety standard, UL 60335-2-24, Edition 2, which will boost the hydrocarbon charge allowed in U.S. domestic refrigerators to 150g from 57g, the amount allowed under UL 250. The EPA would also need to incorporate the UL standard, if these appliances are to be sold in the United States as an alternative to R134a models. The current 57g charge limit for hydrocarbons “is too small to allow cost-effective and energy-efficient manufacturing,” Christina Starr, climate policy analyst at the EIA, wrote on her employer’s website. Substituting R134a with a climate-friendly refrigerant in new fridges would avoid emissions of up to 3.7 million metric tons of direct CO 2 equivalent, according to the EIA. Austrian company AHT Cooling Systems GmbH already has over one million propane-based food and beverage retail cabinets in operation worldwide. “We think propane is the best solution on the market for supermarket units,” says Reinhold Resch, vice-president (research and development) at the Austrian firm. He is convinced that independent plug-in cabinets are the way to go. AHT’s plug-ins boast leakage rates of less than 0.1%. Opting for a plug-in solution dispenses with the need for both external production of the cold and the secondary circuit to transport it. Turkish manufacturer Ugür, meanwhile, produces around 6,000 propane fridges per day; largely thanks to demand from “big suppliers like Pepsi, Unilever and Coca-Cola,” Özgür Erkek, the company’s export director, told Accelerate. This success with global beverage companies – who often provide distributors such as supermarkets and convenience stores with the fridges that display their wares – has allowed Ugür, established in 1954, to become operational in 142 countries. “Most of Europe and the United States has gone down the hydrocarbons route but in some parts of South America and Asia, this is taking a while,” Erkek says. In a bid to enter the lucrative supermarket sector, Liebherr showcased its new line of energyefficient chest freezers using R290 for larger sizes and R600a for smaller offerings. The firm is confident its new products will prove popular. “We are 20% better than the competition in terms of energy savings,” insists Heiko Schulz, international sales manager for food retail at Liebherr. Schulz cites the company’s investment in research and development at its energy department as a key driver of cost savings for customers. When Liebherr began to target the supermarket sector, it knew there would be a trade-off between energy efficiency of the product on the one hand and visual appeal on the other. “I think we have really found the maximum possibility between the display [through the glass freezer door] and energy efficiency,” Schulz says. Schulz believes hydrocarbons are the clear answer for plug-ins. “There is some activity with CO 2 [as a refrigerant for plug-in units] but I think the technology is not really ready for the market yet,” he says. “Hydrocarbon refrigeration will be the leading technology,” he believes. The firm is currently growing in Southeast Asia and plans to increase sales there. Similarly, manufacturer Embraco has recently seen success in bringing energy-efficient compressors to the Asian market – notably selling India’s first R290-based vertical freezer units last year, according to CEO Luis Filipe Dau. Hydrocarbon charge limits under spotlight Standards bodies in the United States and worldwide will consider increasing hydrocarbon charge limits this year amid mounting pressure from industry and governments. any experts believe that in order to meet the objectives of global HFC phase-down agreement struck in Kigali, Rwanda last October, refrigerant standards need revising. to a European Commission report on the barriers posed by codes, standards and legislation to using climate-friendly technologies in the refrigeration, air-conditioning, heat-pump and foam sectors. The report was published at the end of 2016 under the EU’s F-Gas Regulation on phasing down HFC use. -85°C (-121°F). The charge limit remains 150g, except for new water coolers, for which the limit is 60g. Local building codes and fire regulations, as well as transport and storage-related codes, can “severely restrict” the use of flammable refrigerants in many EU countries, the report declares. Changes to standards are required to facilitate the switch to low-GWP refrigerants, according to experts who attended the 39th Meeting of the Open-Ended Working Group (OEWG39) of the Parties to the Montreal Protocol (11-14 July 2017) in Bangkok, Thailand. Other countries are also already implementing HFC phase-down plans including Australia, New Zealand and Canada. Italy, Spain and France have the most severe restrictions on using flammable refrigerants in air-conditioning applications in certain types of public access buildings, the EU report alleges. In Italy a number of Ministerial Decrees ban the use of flammable refrigerants in split airconditioning applications, the report says. A Workshop on Safety Standards Relevant to the Safe Use of Low Global Warming Potential (GWP) Alternatives to Hydrofluorocarbons (HFCs) was held on 10 July prior to OEWG39. It addressed safety standards for flammable refrigerants used in the HVAC&R sector. Similarly in France, a single Decree creates a nationwide barrier to using hydrocarbons in split air-conditioning units and chillers in public access buildings. It was organised at the request of China, backed by other developing countries. China has already submitted documents to the International Electrotechnical Commission (IEC) working group on air conditioning to revise standards on flammable refrigerants. Standards from the IEC, a worldwide body that proposes rules governing how to use electrical, electronic and related technologies, influence the development of the market by providing manufacturers and customers with guidelines as to what is safe to use and buy. At present, China’s HVAC&R sector mainly uses HCFCs and high-GWP HFCs. Yet the government is already setting about leapfrogging HFCs to low-GWP refrigerants. In August 2016, the Chinese Ministry of Environmental Protection’s Foreign Economic Cooperation Office (FECO) – responsible for climate and environmental policy – released the First Catalogue of Recommended Substitutes for R22. Natural refrigerants play a key role as substitutes for R22 in the majority of the sectors listed. Hydrocarbons R290 and R600a are particularly recommended for room air conditioners, heat pump water heaters and stand-alone refrigeration systems. Six sessions were organised during the 10 July meeting to discuss safety issues, with some speakers suggesting it may be another four or five years before any new international standards are adopted. Representatives from India and China informed participants of the significant progress they had made in using hydrocarbon refrigerants at higher charges and with more stringent safety measures in their countries. flammable A2L safety class refrigerant alternatives [was] circulated in May,” explains Embraco’s Marek Zgliczynski, chair of IEC SC61C. “If positively commented upon and if a consensus is reached, the document will be submitted to the SC61C committee to go to the first official vote as a Committee Draft (CDV) during the Plenary Meeting of the SC61C in October in Vladivostok,” he says. Assuming a majority backs the new limit in October’s plenary, then the final standard amendment will be published. At the same time a different IEC working group – the SC61D – is considering “flexible charge size limits [in a given room size] for A2 and A3 refrigerants” in airconditioning applications, says consultant Dr. Daniel Colbourne, who sits on the UNEP RAC&HP Technical Options Committee under the Montreal Protocol. However, they pointed out that to facilitate large-scale production, international standards would have to allow them to export around the world. The IEC 60335-2-40 standard applies to air conditioning. It currently sets a maximum charge limit of 990g of propane per circuit, with the maximum limit varying according to the room area and installation height, according to Colbourne. The working group includes a Chinese delegation. China has already submitted two proposals regarding this standard. There is no formal date for revising the standard, but any revision would most likely take place in late 2017 or early 2018. The workshop conclusions were also presented to the Parties to the Montreal Protocol at OEWG39 for further consideration. Another Meeting of the Parties (MOP) to the Montreal Protocol in November will discuss these recommendations further. Both these IEC standards will inform any revision of Chinese, European and U.S. standards too. Cédric Bourillet of France’s Ministry for the Ecological and Inclusive Transition says, “all this regulation has been published in a world that was 100% HFC and that has since become incompatible with the [EU] F-Gas [Regulation]”. Amid pressure from industry and policymakers to raise hydrocarbon charge limits, various bodies including the IEC, and the Fire Protection Research Foundation and the EPA in the United States, are committed to reconsidering current safety standards in 2017. The IEC working group on household and similar electrical appliances has begun to prepare a draft to change the charge limit on hydrocarbons. The new limit is expected to change from 150g to 500g; this could shift the market towards bigger, more efficient hydrocarbon cabinets once it is adopted under the IEC standard IEC 60335-2-89. France recognises that national standards will also need to be revised further. According to Bourillet, there will be a place for hydrocarbons. The French Ministry of the Interior is currently drafting a risk assessment study, the results of which will be published this year. The study will focus on the feasibility of raising charge limits for flammable refrigerants in public buildings, in terms of safety and level of training for the French workforce (see ‘Hydrocarbons: A NatRef success story’, p.26). United States must act quickly Brian Rodgers, UL’s principal engineer for heating, ventilation and large-scale cooling, argued at a recent UL seminar that international and UL standards must complement one another more effectively in future. For the United States this means, “many of these revisions in standards [for flammable refrigerants] must be published by the end of 2017, so the ICC [the International Code Council] and the IAPMO [the International Association of Plumbing and Mechanical Officials] codes can be revised in the next code cycle,” UL’s Haseman says. Both the ICC and IAPMO cover the whole of the USA, bar the states of Maine and Hawaii, and publish updated editions of building codes and standards every three years. The next revision is in 2018. This date is very important as UL and ASHRAE standards inform the ICC and IAPMO standards and building codes. UL wants to update the requirements before the 2018 date, so IAPMO and ICC can revise their standards too. For air conditioning, UL is proposing safety standards that would require flammable refrigerant-based air conditioners to be fitted with leak detection systems, and to either keep their fans switched on all the time, or only once a refrigerant leak has been detected. The proposed standards also cover refrigerant piping requirements. THE ACCELERATE FAMILY The Accelerate family of magazines includes Accelerate America, Accelerate Japan, Accelerate Europe and Accelerate Australia & NZ. These are the first news magazines written for and about the most progressive business leaders working with natural refrigerant solutions in all industry sectors. Accelerate magazines are published on accelerate.shecco.com and on individual websites. Printed copies are available at leading HVAC&R trade shows and are delivered by mail to key end users and industry professionals. Accelerate’s network of offices stretches from Brussels and Tokyo to New York. The views expressed by the contributors are not necessarily those of the Publisher. Every care is taken to ensure the content of the magazine is accurate but we assume no responsibility for any effect from errors or omissions. Published by shecco SPRL. All rights reserved. Reproduction in whole or in part is prohibited without prior written permission of the copyright owner.